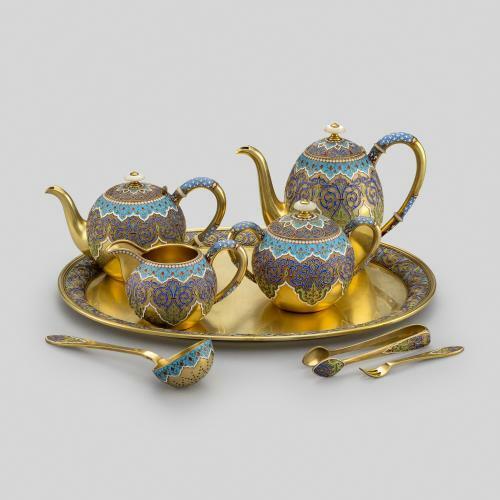 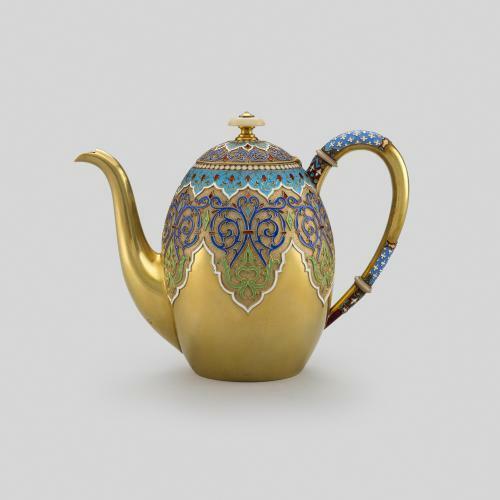 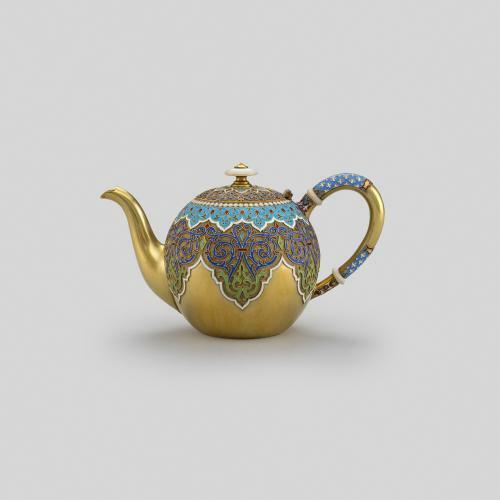 This Russian silver-gilt and cloisonné enamel tea and coffee service was produced by the Grachev firm who received a number of commissions from the Imperial family.The firm was established by Gavriil Grachev in St. Petersburg in 1866 and after his death his sons continued the factory’s work until 1917. 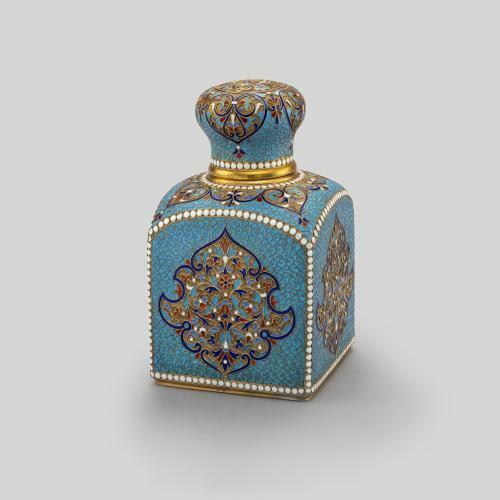 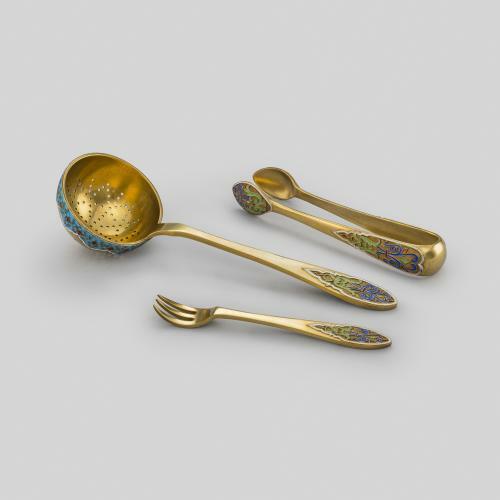 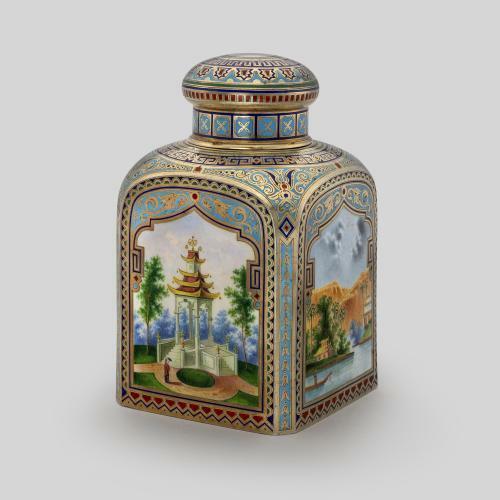 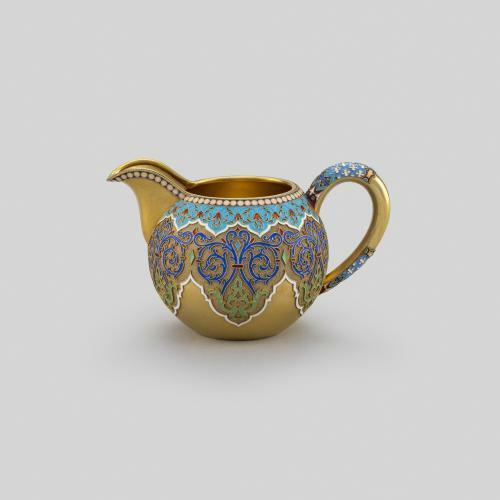 Each item in this set is decorated with enamelled scrolling geometric motifs on a gilt-stippled or blue ground. 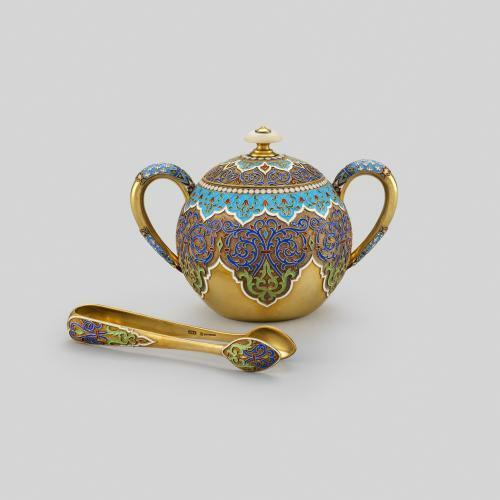 The hinged covers of the tea and coffee pot sit within an opalescent pellet border and are surmounted by mother-of-pearl finials.